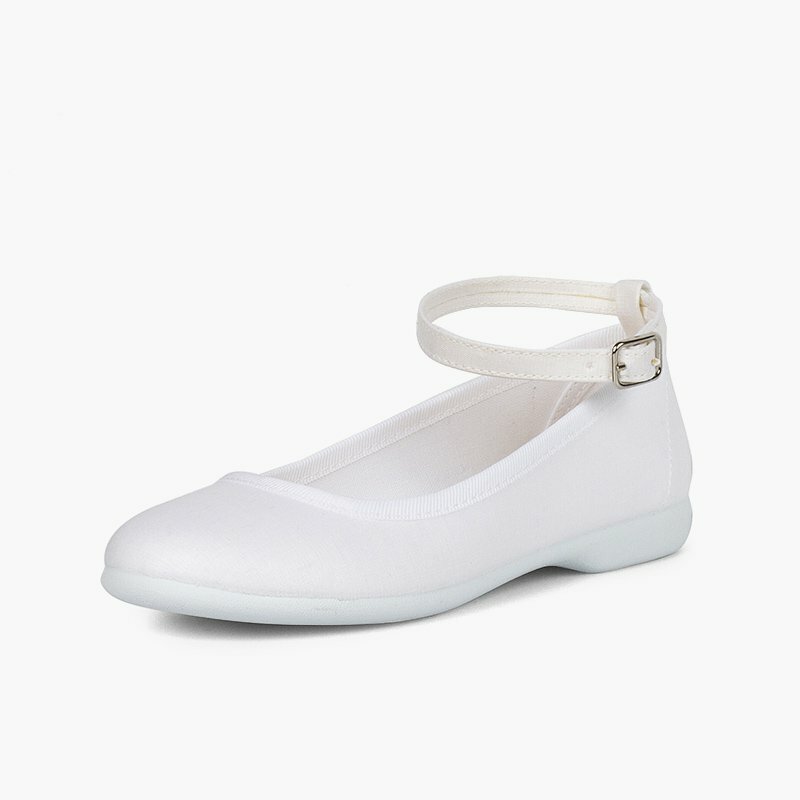 Do you want to buy some girls' ballet flats online, which are available in small and large sizes and are also super elegant? Well here you have them! 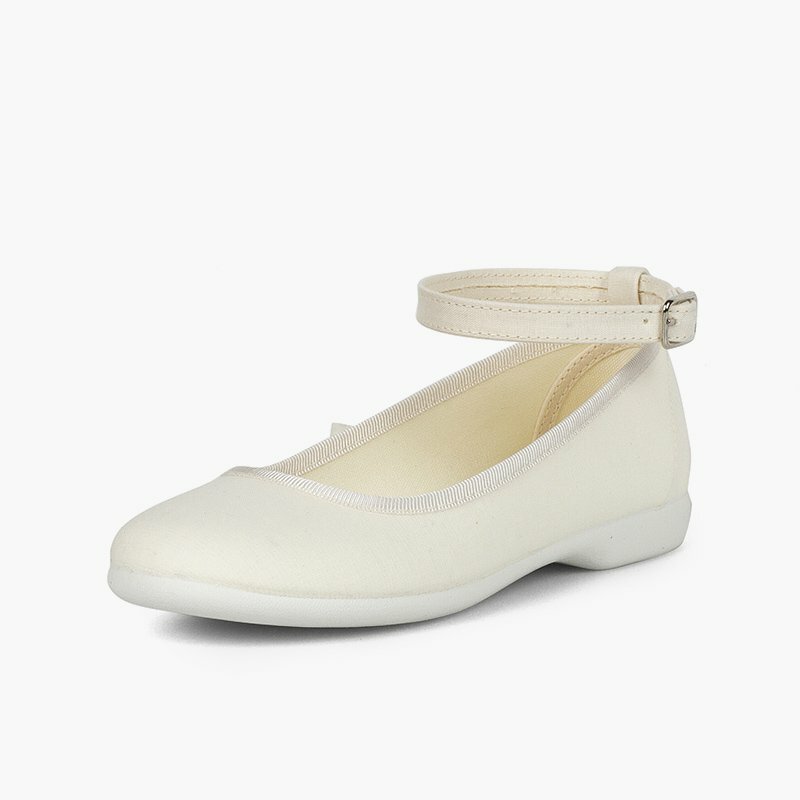 These girls' ballet flats have two interchangeable types of closure, so you can change the style according to the occasion: one ankle bracelet with buckle closure, for when you want your daughter to wear them with tights or leotards or for more casual occasions, and another with satin ribbons for the most distinguished celebrations! 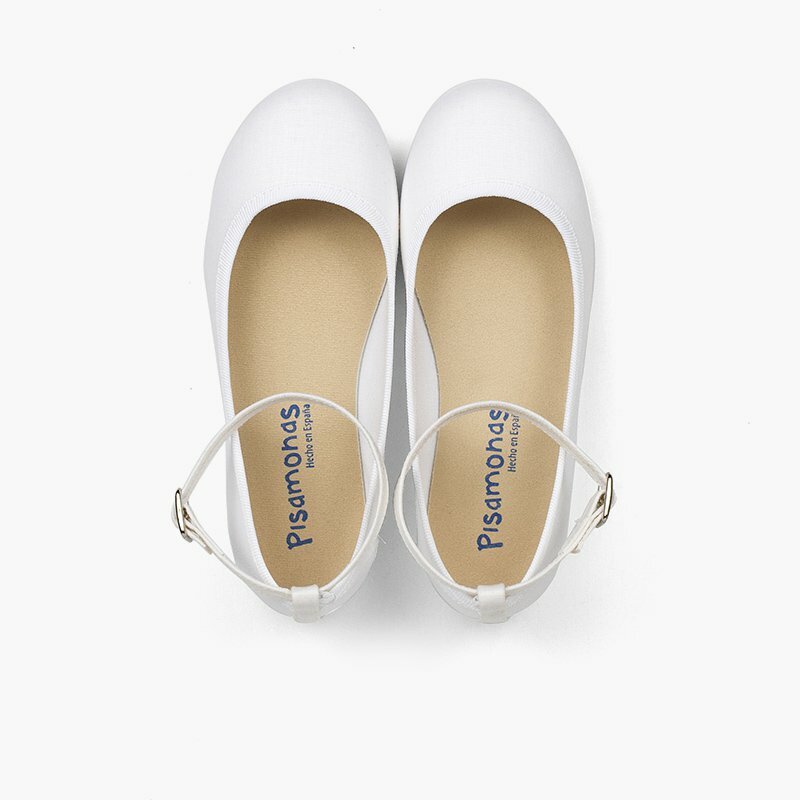 In this way, you have two completely different pairs of ballet flats in one! This model is made of a very special fabric which looks like satin but is much easier to look after. 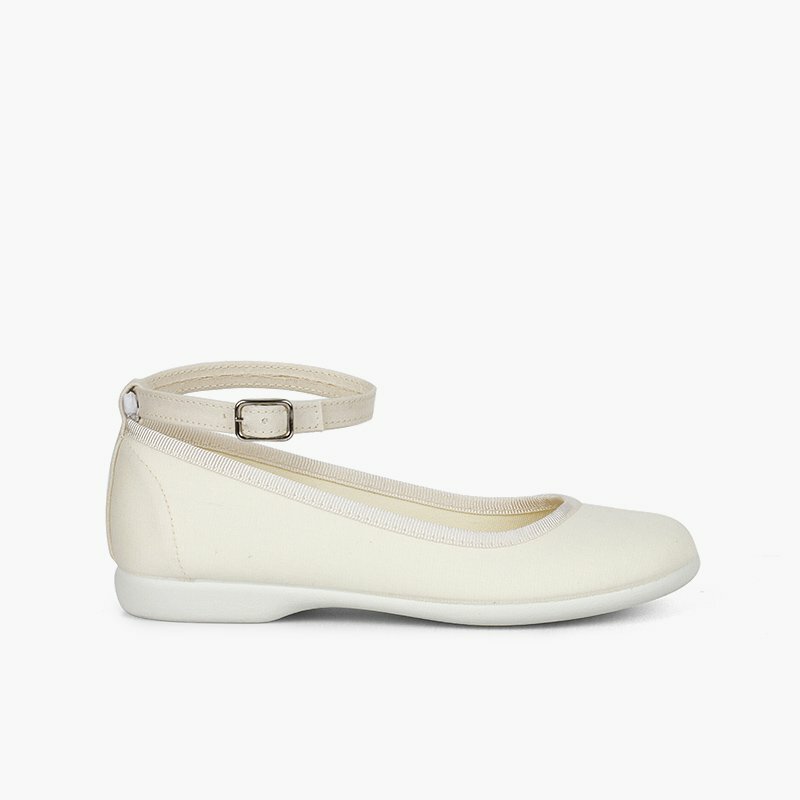 It gives this model added elegance for occasions where you want your daughter to be a little smarter. 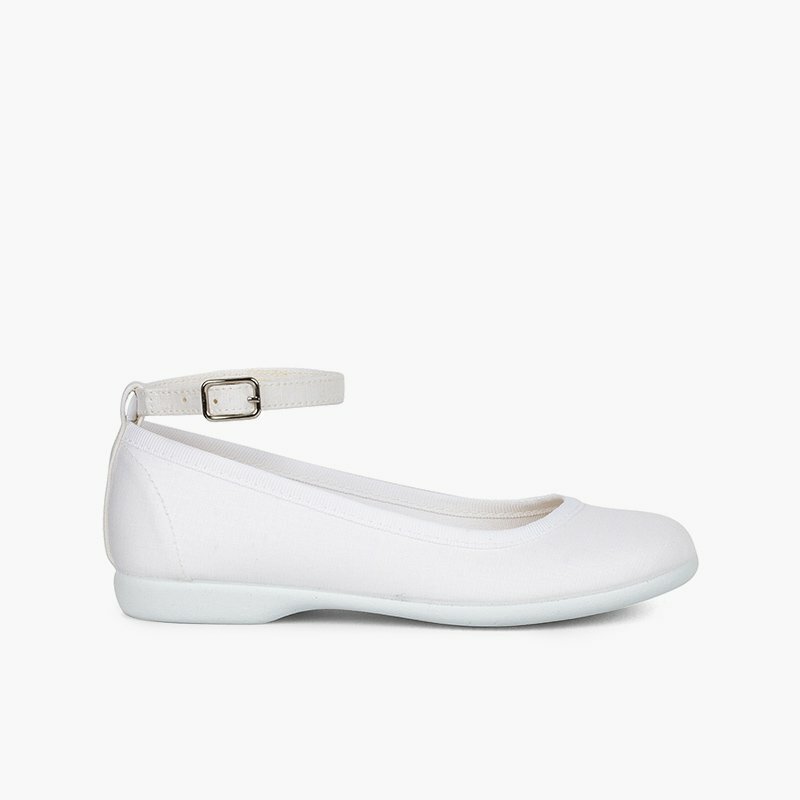 Perfect as a ceremony shoe if your daughter is going to celebrate her First Communion this year. They can be worn with their satin ribbons to dress your little one like a princess for a special moment, and then, for everyday wear, she can wear them as ballet flats with the ankle bracelet. 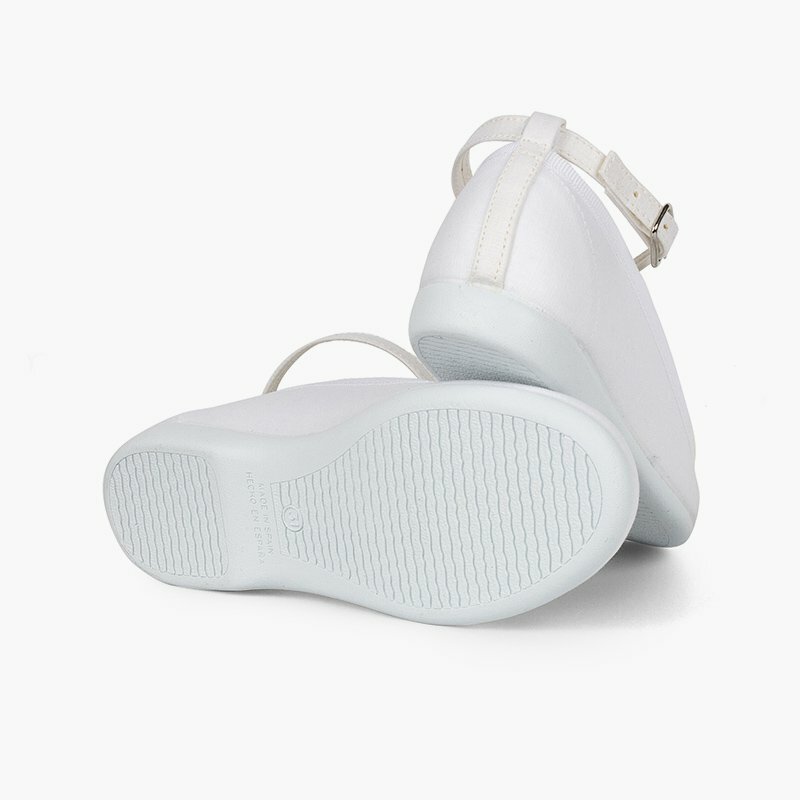 You can wear them too, thanks to their size range from 26 to 38! 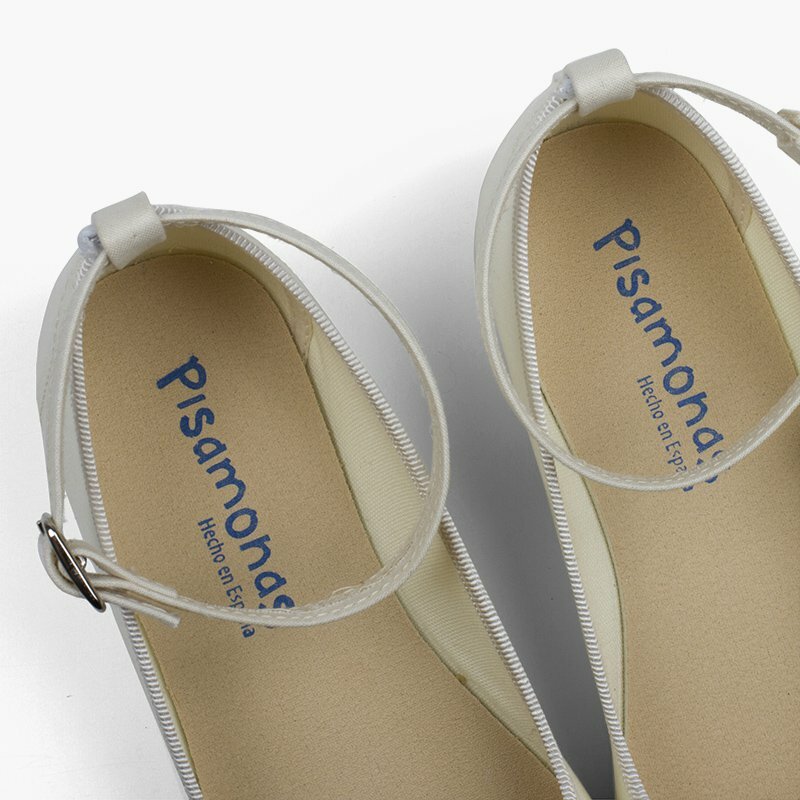 Fashionable, matching mothers and daughters with Pisamonas! 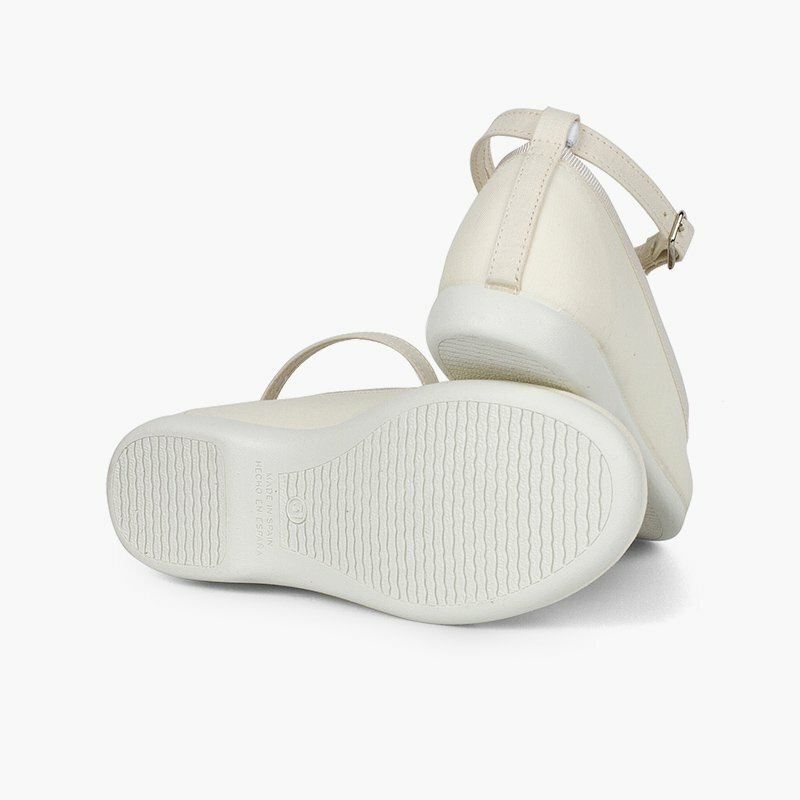 Choose between two available colours: white or ecru. Pick the one which best matches all your spring-summer outfits. If they get a little dirty after wearing, you can easily clean them by rubbing gently on the stain with a damp cloth and a little bit of neutral soap. Leave them to dry in the shade so that their colour doesn't lose intensity. At Pisamonas, shipping, exchanges and returns are always free! Choose from a bracelet strap with a buckle or satin ribbons in the same colour! Two for the price of one to clinch the prettiest look! 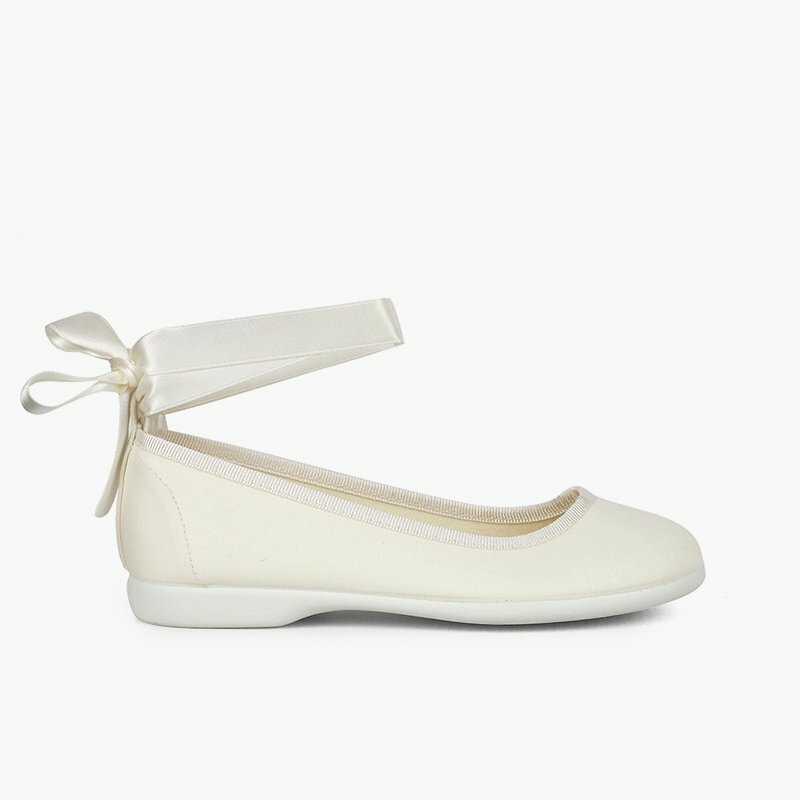 Smart shoes for weddings, baptism or communion! And also for daily wear with more casual clothes!